Jen and arrived late at night with 30 White Castle burgers we picked up on the drive up from Twin Cities. 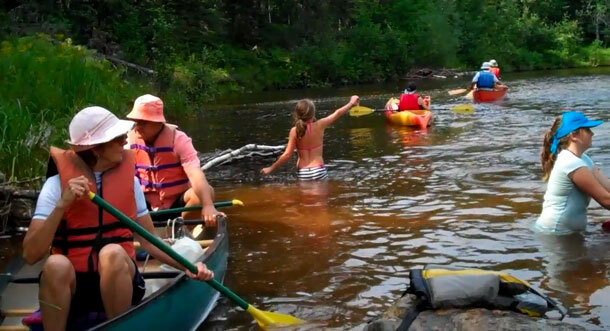 But we got up early so we could join Bill & Daph, Jeff & Joann and sons Ray & Ben for a paddle down the Brule River. While we have many years of experience paddling the placid, lake-like waters of the Russian River, we had never experienced anything like the Brule, which commands your attention constantly as it shoves you through rapids every 10 minutes or so. 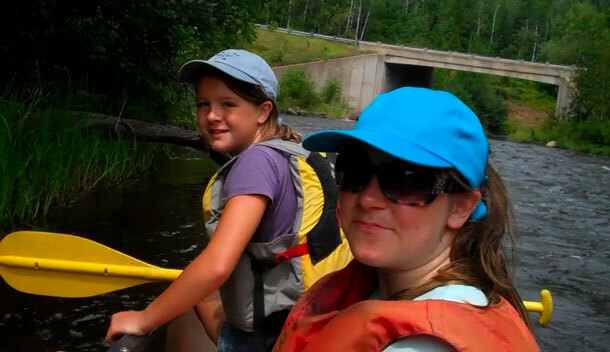 I shared a canoe with the two daughters and have to say we did great. We were the only canoe that didn't spill or eject a paddler into the stream. 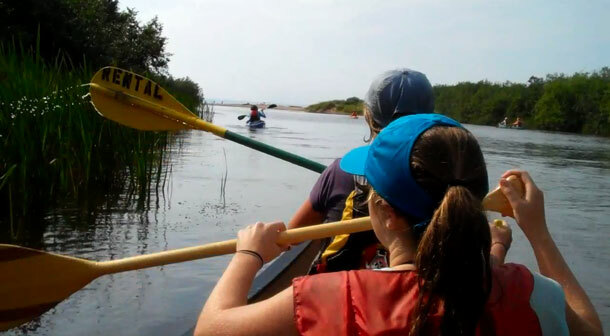 I was very proud of the way my girls worked with me as a team, paddling on the right when I asked, then switching to the left when I would shout it out. The day's reward was paddling into Lake Superior, with its unsalty waves. The lake's water was surprisingly warm, so we played in the surf a while before packing up the canoes and heading home. Brule River Paddle from Dave Sims on Vimeo.